On this page can be found articles by Norman that stem from his interest in the history of the global labour movement. If you wish to comment on the articles please use the Leave a Reply box at the bottom of the page, giving a heading for the particular article. Sadly, Norman passed away on 9 December 2013. However, this site will stay on line indefinitely in his memory and as a source of inspiration to readers. Shortly after the first issues of Keep Left and The Newsletter appeared on Staying Red, Dave Ashby got in touch with some of his recollections from the early days of the Young Socialists, and has kindly given permission for them to appear here. While reorganising my archives I found some items with considerable historical importance for the Trotskyist movement in Britain reproduced as PDFs (below). The PDF documents begin with scanned facsimiles of the item and then, for ease of reading, digital documents produced by optical character recognition. The first issue of Keep Left produced in November 1950 by the Wembley Labour Leagues of Youth, which became an unofficial journal widely circulated in the Labour Party Young Socialists until the suppression of the Keep Left faction by the Labour Party National Executive in 1964. Aspects of the early history of Keep Left are recorded at the Marxists’ Internet Archive. A flyer produced by Peter Fryer in April 1957 announcing the launch of The Newsletter and the first page of its first issue. 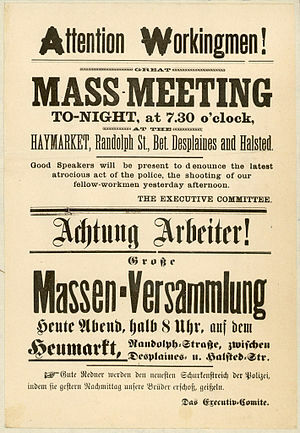 The Newsletter became the paper of first The Club then the Socialist Labour League. In September 1959 Fryer resigned as Editor against the dictatorial regime imposed on production of The Newsletter and the SLL as a whole by Gerry Healy. Readers will note the complete contrast between the exemplary tone of both documents and that which characterised the later years of the Workers Revolutionary Party and its various publications. Describes the little-known strikes by British forces in India after the end of World War II, when the British government would not allow conscripts to return home following the final surrender of Japanese forces.